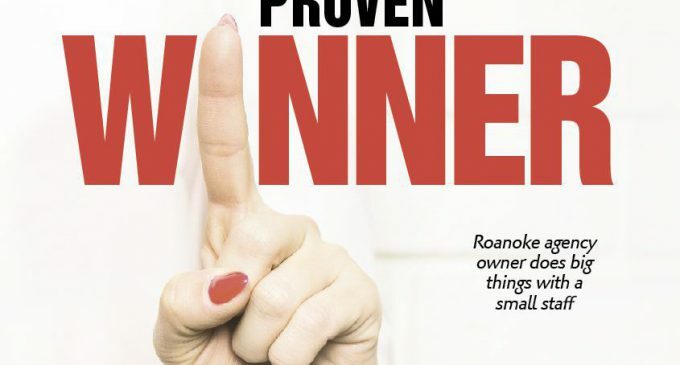 PROVEN WINNER - The Rough Notes Company Inc.
It’s our pleasure to present another article in our Broken Glass series, in which we talk with a woman in the independent agency business about the challenges and rewards she has experienced throughout her career. This month we profile Carla Jean Marks, CIC, CISR, owner of Marks-Tiller Insurance Agency in Roanoke, Virginia. 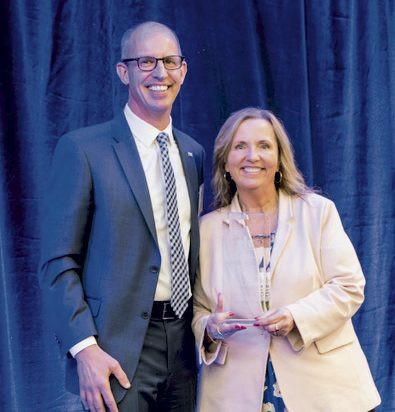 Earlier this year Marks was named the 2018 Professional Agent of the Year by the National Association of Professional Insurance Agents. If you harbor the belief that women who speak in a soft southern drawl are delicate camellias, think again. Carla Jean Marks may not be a steel magnolia, but she adroitly balances running her agency with involvement in her state and local PIA chapters and a strong commitment to community service. Established in 1974, what then was known as Wayne-Tiller Insurance Agency was a one-person shop until Marks came on board in 1991. At that time the agency’s total book of business was $750,000. Marks purchased the all-lines firm in 1998 and since then has built its volume to $2.5 million. In addition to Virginia, the agency is licensed in Tennessee, West Virginia, and North Carolina and operates with a staff of five including Marks. Property/casualty premium volume is split about 60% personal lines and 40% commercial, and the agency also writes life, health, and annuity business. On the commercial side, a niche market is artisan contractors. Other classes the agency pursues are trucking, garages, hotels and motels, restaurants and bars, wholesalers and distributors, special events, and technology. Marks-Tiller scores rave reviews from clients, as shown by comments on the agency’s Facebook page. Over the last 20 years or so, women have made great strides toward gaining acceptance and respect in the insurance industry. Women are at the helm of some major insurers, and many others hold key executive positions with carriers. On the agency side, it’s no longer unusual to see women as owners and producers, unlike in earlier times when men ran agencies and sold insurance while women stayed behind the scenes to provide customer service. Marks began her insurance career in 1981 and doesn’t have a batch of war stories to rival those told by women who entered the industry in the 1950s and 1960s and found that a woman’s place was in the steno pool. Still, she’s a native of southwestern Virginia, whose southern heritage runs deep, and she recalls more than one instance of what Yankees likely would consider patronizing treatment. What qualities does Marks think women bring to leadership roles in the industry? We asked Marks what advice she would offer to a young woman who is considering an insurance career. How did Marks react when she learned that she had been named PIA’s 2018 Professional Agent of the Year? Marks received the award at PIA’s national convention in Washington, D.C., and comments that the experience was unforgettable. “I’m still on a high, and I don’t think my feet have yet touched the ground,” she says with a chuckle.